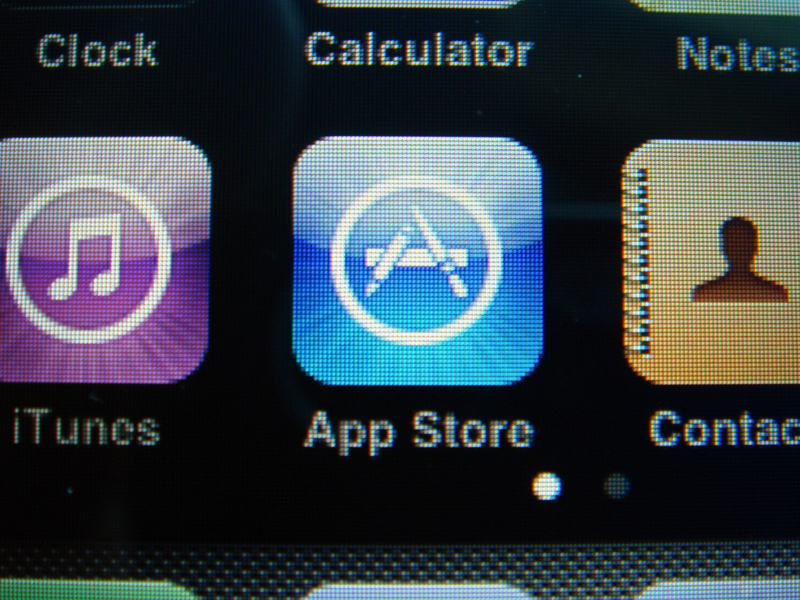 January was a blockbuster month for US app developers, as app downloads in the country increased by 12 percent and the cost of acquiring new users fell by 59 percent, according to new data from mobile app marketer Fiksu. The firm found that app download rates were through the roof, peaking at 6.79 million per day, thanks to the effect of new tablets and smartphones given as gifts during Christmas. Apple enjoyed a particularly strong month, with Fiksu recording a record high for iOS downloads; that’s based on its measurement of the top 100 free apps in the US. While December’s festive period is big business for those targeting shoppers, January is comparatively a far cheaper time to acquire new customers, according to Fiksu, which claims to be the first platform to monitor user acquisition across the mobile ecosystem. The firm found that January’s cost of acquisition — a rate determined by marketing spend versus the number of downloads — was the lowest since June. 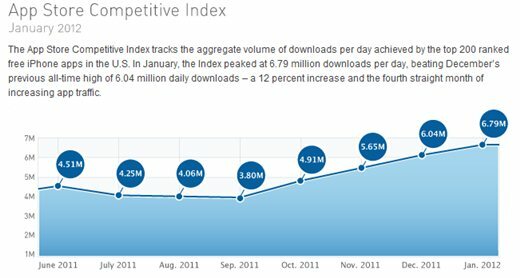 The rate dropped from $1.81, a record high in December, to number $1.14 per download in January. We’ve observed many app brands invest heavily in the fourth quarter, seeking extreme growth during the holiday season, then reduce spending in January as they evaluate their marketing programs for the New Year and focus on version upgrades for their apps. Budget-savvy marketers should take full advantage of this time, instead of slowing down. The data accounts for US app market downloads and, while it isn’t representative of all global markets, it shows the significance of the Christmas period rush. We’d expect that the effect is similar in a number of western markets, and perhaps even beyond as Christmas is a growing consumer period, even in non-Christian countries. Mobile app numbers are notoriously difficult to measure and Fiksu discloses that its figures are sourced from “more than 13.9 billion mobile app actions”, which it says includes app launches, registrations and in-app purchases. 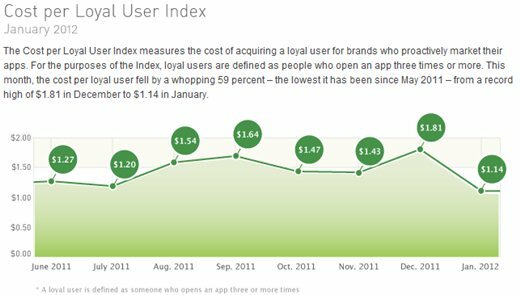 It also records more than 217.4 million downloads that are marketed via its Fiksu for Mobile Apps user acquisition platform. A recent report concluded that the US app industry has generated close to 500,000 jobs, and we’ll be keeping an eye on Fiksu’s data for more signs that the industry is continuing to boom.